Model 20 SS Hose End Sprayer | Lafferty Equipment Manufacturing, Inc. The Model 20 Stainless Steel Hose-End Sprayer is a high pressure chemical spray applicator for quickly diluting and applying virtually any liquid chemical. 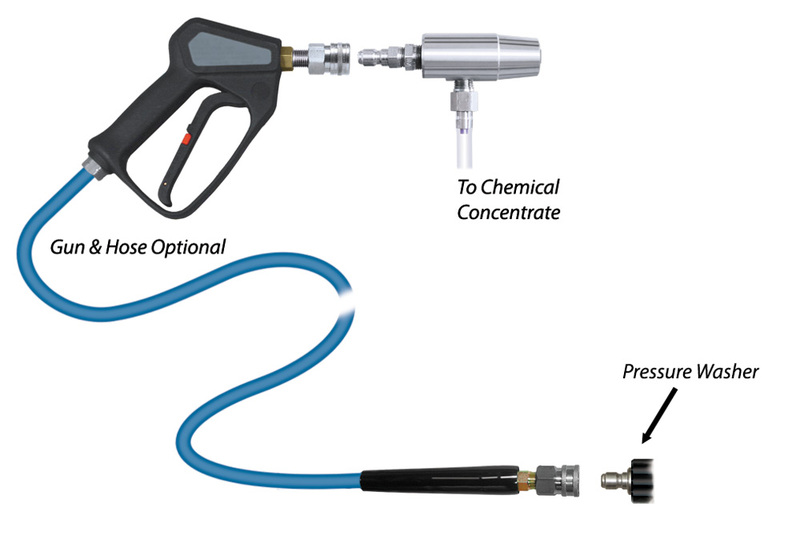 This venturi injection system works with a 2.5 - 5.0 GPM pressure washer to draw chemical concentrate and blend it into the water stream to create an accurately diluted solution. The solution is then projected as a chemical spray on to surfaces up close or at a distance.